We are pleased to have contributed to a report by the Social and Economic Research Group of Forest Research, working also with the University of Oxford, exploring land owner and manager views about ecosystem services. The work is part of ongoing outcomes of the British Woodlands Survey 2017. There is increasing interest in understanding, valuing and supporting the variety of ecosystem services that woodlands can provide. Land owners and managers can play a key role in the delivery of forest ecosystem services through active woodland management, woodland expansion and woodland creation. 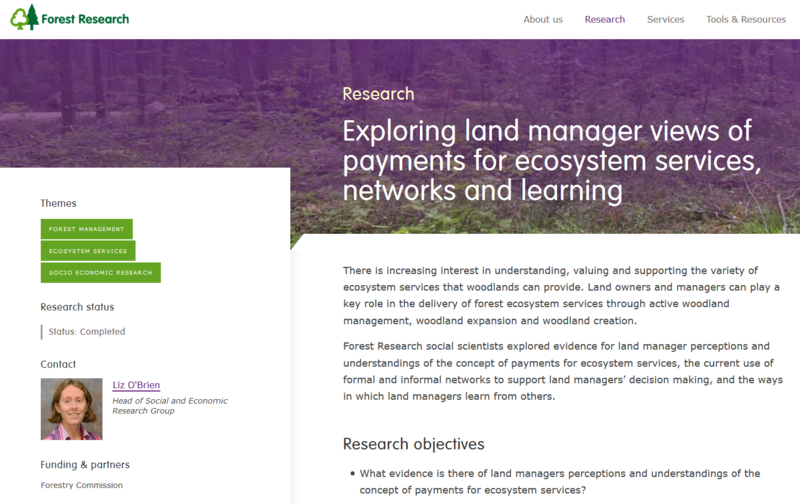 Many land managers were not familiar with the term ecosystem services or the concept of payments for ecosystem services. However, they did often recognise that their woodlands could provide a range of benefits to society. Quantifying forest services and benefits was thought to be particularly difficult in considering the design of any schemes that might provide payment for these services and benefits. Dr Peter Long from the University of Oxford explains the principles of remotely assessing ecosystem services. 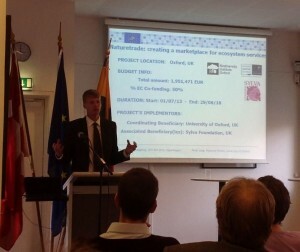 This week the Naturetrade project officially started with a kick off meeting at European Union offices in Copenhagen. The project is being led by the University of Oxford with the support of the Sylva Foundation. Dr Peter Long (University of Oxford) and Alistair Yeomans (Sylva Foundation) attended the meeting, and gave a presentation on the scope of this EU match-funded project. 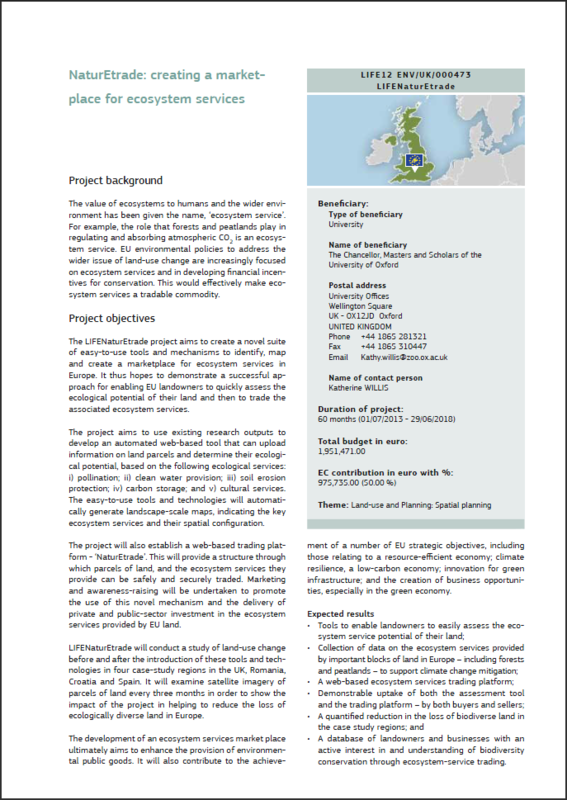 This project will run for 5 years and aims to develop a web-based system that enables EU landowners to assess the provision of ecosystem services on their land, and then trade these services. In the coming weeks a project webpage will be launched with full details of the research.